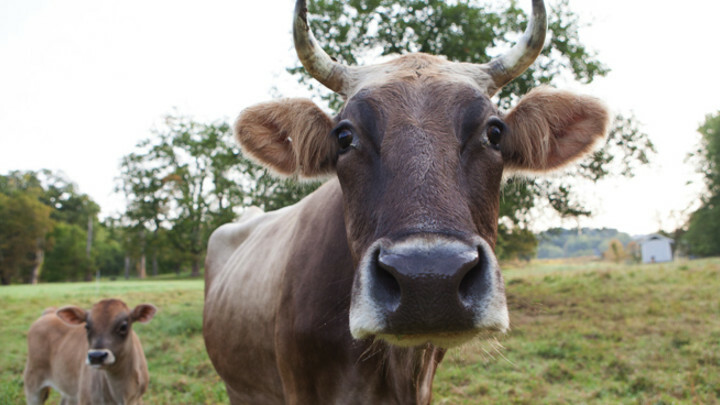 Readers, meet Narcissa, the cow resident at the Locusts farm on the Hudson. Narcissa’s hobbies include walking by the river, grass, and Turkish prison movies. Unlike Rob Lowe whose looks killed his career, Narcissa killer looks keep her at the top of the food chain, or pretty close to it. The new restaurant at The Standard in East Village is named after her. An honor you just don’t see these days. We are talking about the full name, not just the first letter the way soooo many babies are named these days. I mean if you gonna name your baby after your great aunt Ethel, Emma is not gonna cut it. And who decided it has to be the first letter anyway. Narcissa, just like the cow, is a stunner. Two spacious, comfortable, nicely laid out rooms. Perhaps a little too attractive to accept the initial offering of the seats next to the busy reception area, while the rest of the row was entirely empty. The couple seated right after us questioned the move as well, but elected to stay. I never understood the logic behind this practice, but no harm done. A very interesting cocktail list with the least imaginative names: “Roll in the Hay”, “So Pretty”. Or fairly imaginative depending on how you look at it. Started with a spicy offering (forgot the name) but much preferred the latter herby and refreshing “Gentleman’s Framer”. 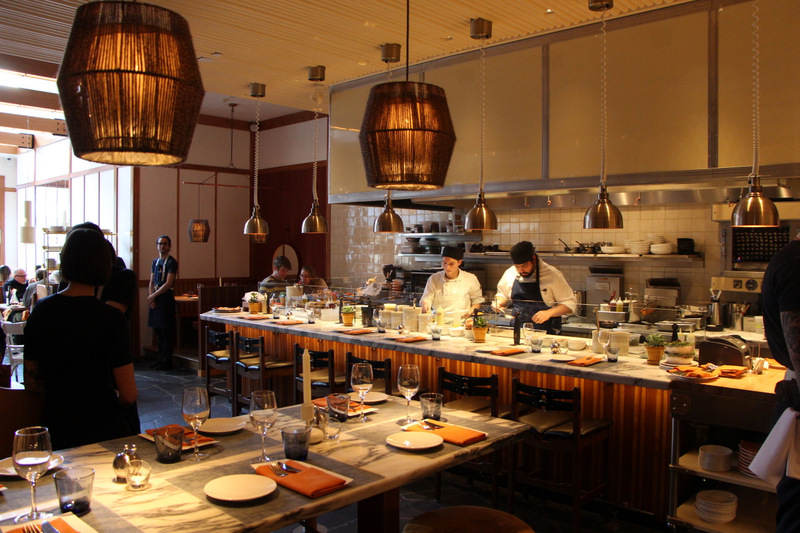 If you haven’t figured it out by now, Narcissa is all about Farm to Table. Unlike other Farm to Tables that could be easily called American or American (new), the veggies here truly shine. Juts about every menu you see these days has that one veggie main, usually the first dish, that is normally lonelier than that single sock in your sock drawer you keep just in case its partner by pure miracle comes back one day. 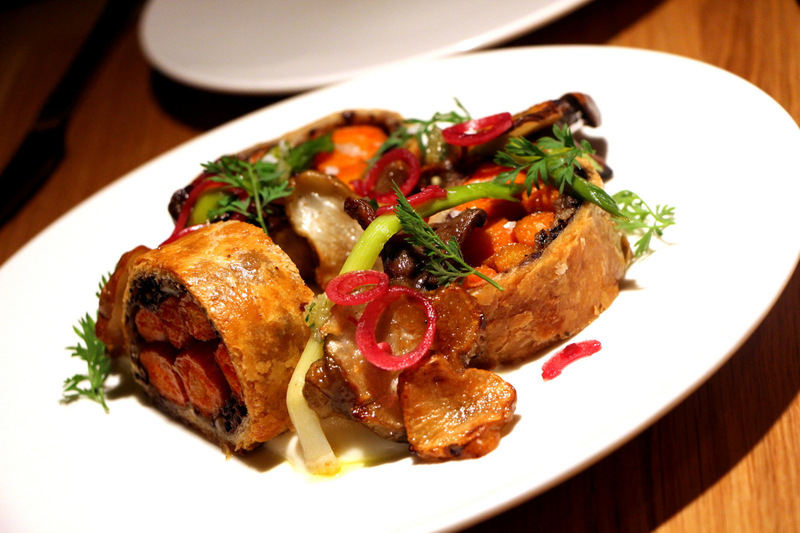 That lone dish in Narcissa is the star of the menu, the Carrots Wellington. Lets start with the apps. Two well cooked Short Rib pieces with pastrami spices, buttermilk and radish salad with a nice amount of mustard presence. The pastrami wasnt evident much, but the dish enjoyable nonetheless. 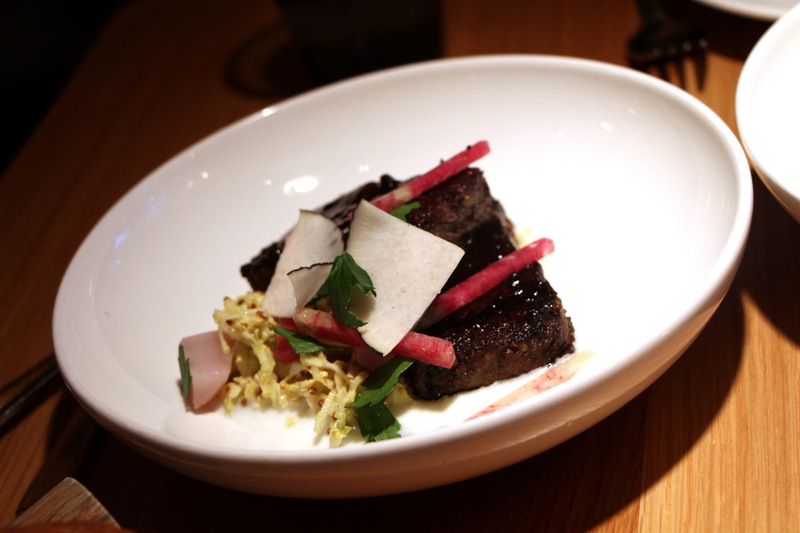 The sweet “meaty” Crisped Beets with bulgur salad, apples, and creamed horseradish was similar in some ways to the short rib dish. Just a nice combination of textures and flavors. I never ever order beets anything as I don’t particularly care for them but this was really nice. The two mains were far less thrilling however. 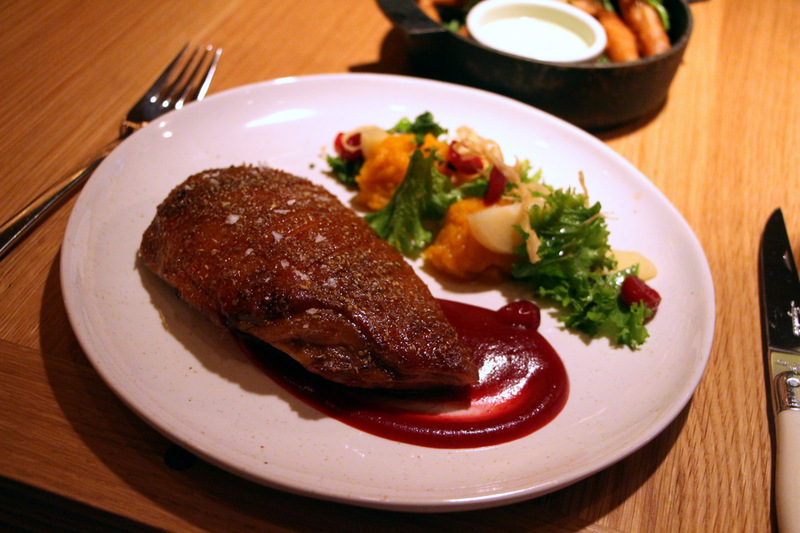 The duck breast was lacquered, undercooked (for my taste) on the rare side, covered by a thick fatty layer, with cranberry sauce. Just didn’t care for the overall texture and flavor. The best part was the gingered butternut squash on the side with spiced cranberries. Should have ordered the much better looking lamb loin. 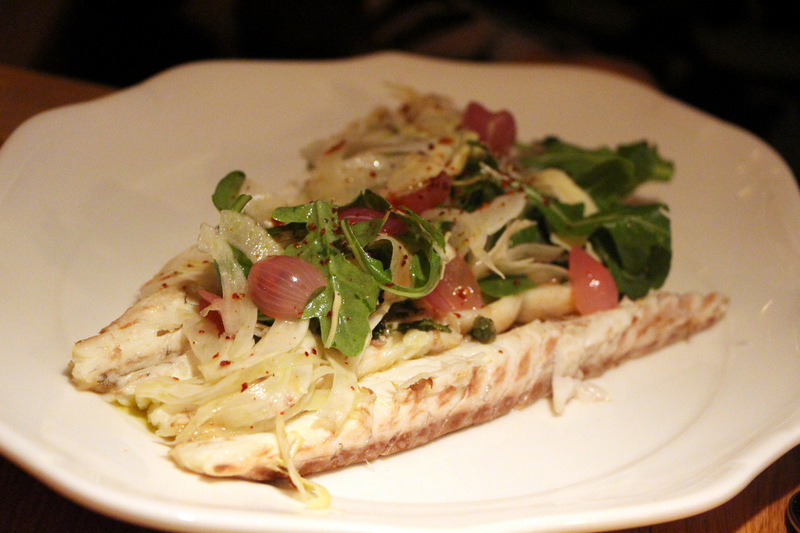 We expected much more from the “whole” Branzino, filleted and topped with a salad that included fennel and onions that were somewhat off-putting to Mrs Ziggy. Dried up fairly quickly by the time I got to it. A rarity for us as we prefer the simpler way we grill them at home, with the bones and skin and all, lemon and olive oil. Carrot fries tempura style side was the saving grace of the mains. Just get all the carrot dishes here. 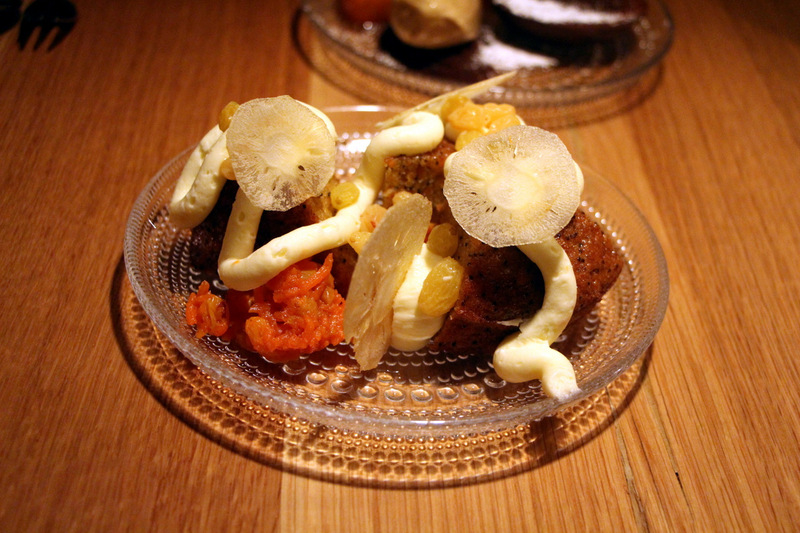 Desserts were stellar. 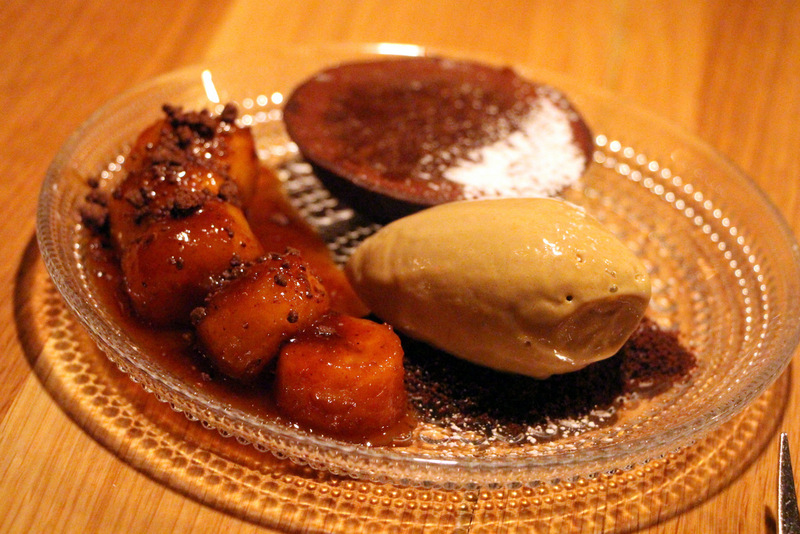 Just about the best carrot cake (what else) you will ever eat, and an even better runny creamy chocolate tart with toasted bananas and espresso ice cream. Yummo! A few important bathroom tips in a place called “The Standard”. Remembering how you got there may not be enough. Pay attention to the tiny red light on the door. Turn the lock all the way.. again (learned the hard way – sorry strange lady). Should have read your blog before dining there last night. The baked oysters were very good. The Raw Tuna appetizer was totally tasteless. The branzino, as advertised as whole, should have been brought out on the table and deboned “on site”. Olive oil ice cream is better at Otto’s. Just MHO.